Even though the iPhone 6 and iPhone 6 Plus have been on sale for over two weeks now, Apple is still working to meet the huge demand, and while millions are now in ownership of their desired handset, many others are still waiting for new shipments to arrive. To aid the process, a number of apps and sites have been set up for the sole purpose of monitoring the inbound iPhone 6 stock, and having already featured one great tracking service launched just a couple of days after the new handsets first arrived, we’ve now stumbled upon a similar Web app that’ll help you to finally secure that unit you’ve been hunting for the past fortnight. 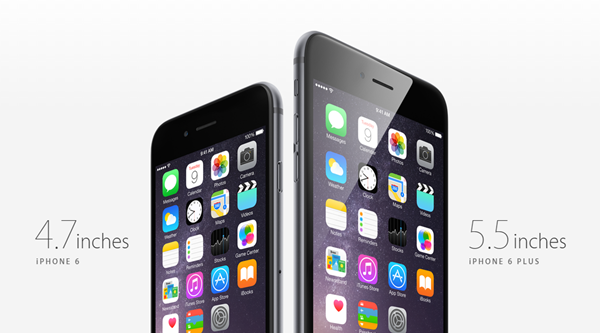 iStockNow is a Web-based service that, as you may have sussed, provides frequently-updated information on iPhone 6 stock. To make things nice and easy, there’s an interactive map, and like the 6tracker service we covered here before, it also lets you narrow things down to your exact specification. So if, for example, you’re looking for a 16GB iPhone 6 in Space Gray, you can enter these attributes, and you’ll also notice that it’s generally more readily available than, say, a 128GB iPhone 6 Plus in Gold. Hitherto, iStockNow is perhaps the most comprehensive iPhone 6 tracking service that we’ve found. As well as being able to scan the Apple Retail Store inventories, you can also check the likes of Best Buy and Target, and so if your desired handset is accessible to you, this site will keep you right in the loop. You can search by your city or ZIP, or simply just click on the marker nearest to your location. If stock is available, the marker will be green, and from there, you should be able to go ahead and place your order. Given that the iPhone 6 is still in very high demand, though, it’s certain that there’ll be many other eager consumers pulling the same tactic, and as such, you may wish to call up the store to double-check prior to venturing out. So, if you’re still waiting on the iPhone 6 or iPhone 6 Plus availability, point your browser over to iStockNow.com, enter the specs you’re seeking, and allow the app to do the rest of the work.